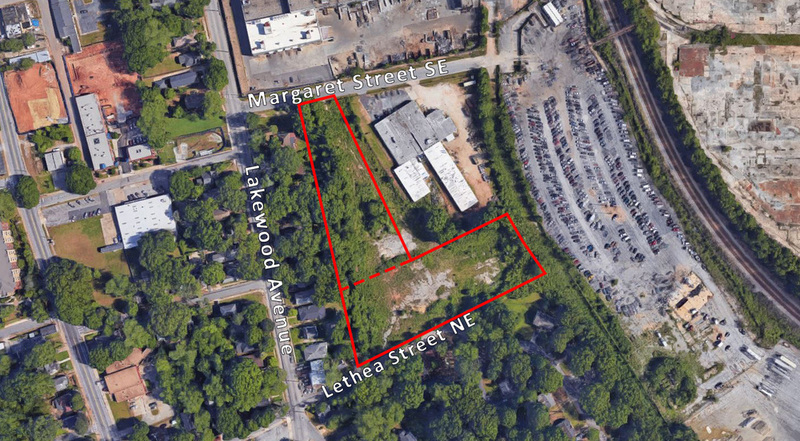 Bull Realty is pleased to offer for sale a ± 1.58 acre commercial site in west Atlanta. This area is rapidly redeveloping with the new UPS Hub opening, the proposed Chattahoochee Linear Park and the redevelopment of the old Bankhead Courts. The site boast high traffic counts, level topography and all utilities on site. The commercial zoning allows for a variety of uses. The 2,957 SF freestanding restaurant has a large main dining room and a smaller private event room that very easily provides 118 seats of the current layout. A front and small side porch that could be expanded provides for additional outdoor seating. 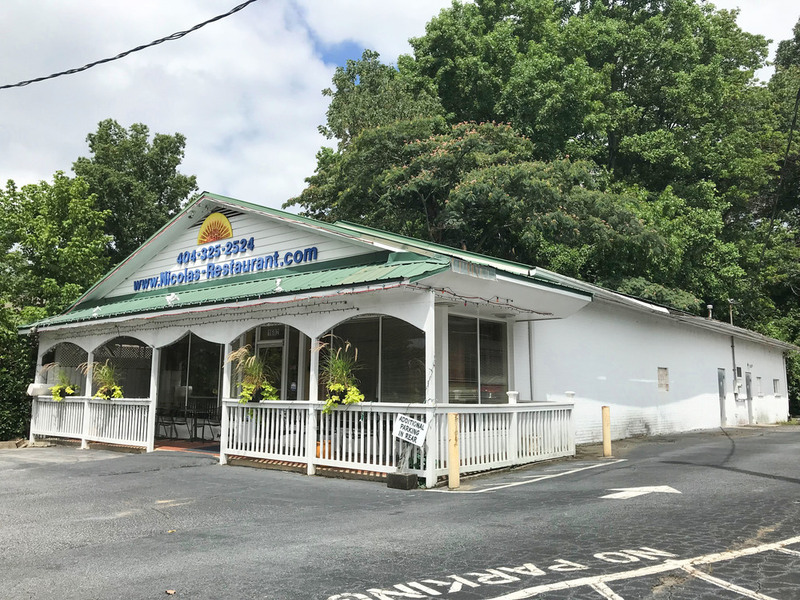 This proeprty is conveniently located less than less than two miles from I-20 and approximately 30 minutes from Downtown Atlanta in the growing suburb of Douglasville. Less than five miles from WellStar Douglas Hospital, other businesses surrounding the property include Arbor Place Mall, Regions Bank, CVS, Allstate Insurance, local offices and retailers. The surrounding area offers a variety of amenities including an array of dining, shopping, hospitality, big box retailers, entertainment and diverse housing options. These (21) ready to build, residential lots are located in the Heritage Park Subdivision in East Point, GA. All infrastructure and utilities in place. This is a great opportunity for small to medium size builder in an established subdivision. The commercial zoned 8.42 acre site is flat, wooded, and entitled for senior housing. It is located at the center of the highest density of 65+ senior population in the county with over 16.31% according to PolicyMap. Clarke County has the highest incidence of Alzheimer's in the State of Georgia with 14.6% . In addition, the US Census shows that for the population 75+, the independent living difficulty rate is 26% while the "cognitive impairment" rate is also high at 16.6%. CMS data also shows there are over 4,169 patients under cognitive enhancing drugs for Alzheimer's, being prescribed by the top Namenda/Exelon prescribing physicians in that market -- that is a factor of 34 Alzheimer's patients per every Memory Care Unit. 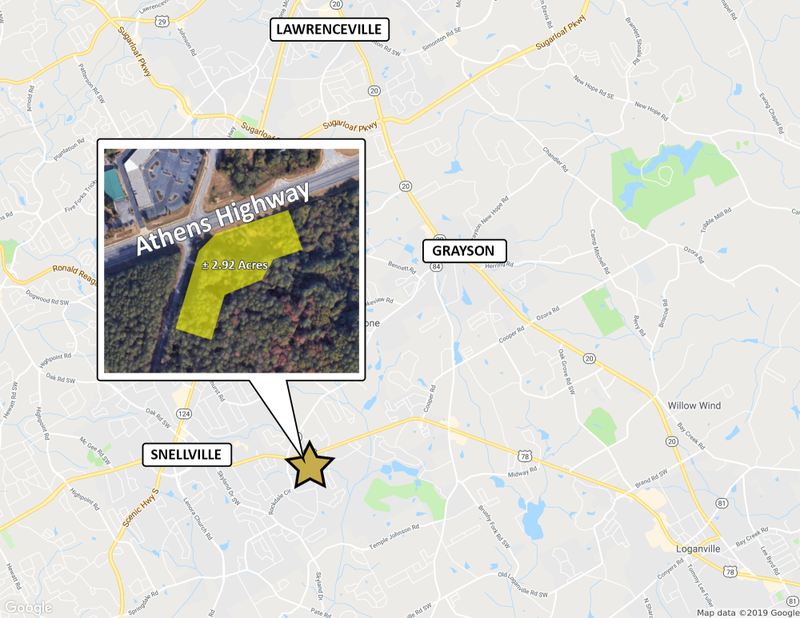 Site has a "country feel" within the Athens MSA perimeter, and in a developing commercial area experiencing rapid growth with several planned retail projects, as indicated by Athens-Clarke Land Development Plan (see attached). Site is in the vicinity of a new Kroger Mart, Piedmont Urgent Care, Athens Technical College, Athens Christian Academy, VA Administration, and within a 12 minute drive from most locations within Athens-Clarke County including The University of Georgia main campus, University of Georgia Health Center, and Piedmont General Hospital. Easy access to Athens Loop, and four lane GA 29 and GA 72 highways. This ±21,352 SF medical office opportunity is located in Riverdale near Southern Regional Medical Center. Built in 1979, this multi-tenant, all brick, single story building is need of interior renovation and repairs. This short sale opportunity is ideal for a new owner/user. The property has 185 parking spaces. Parcel ID is 13140C A028. This single tenant NN Dollar General in Dequincy (Lake Charles MSA), Louisiana is an excellent investment property in a proven location with minimal landlord responsibilities. Dollar General approached the Landlord in 2005 and negotiated a store expansion to over 11,000 SF to meet the sales demand in the immediate trade area. The NN lease was recently extended through July 2025, showing a continued commitment to this location. As part of the extension, the rent will increase 5% in 2020 and the CAM contribution will increase at that time as well. Landlord responsibilities include repairs and maintenance to the roof, structure and paved areas. 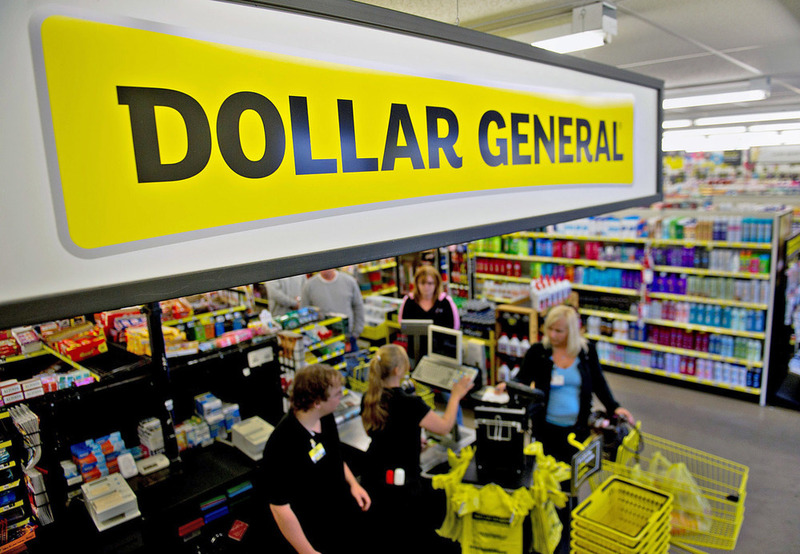 Insurance is handled directly by Dollar General through their National Insurance Program. The NN lease requires the tenant to reimburse the Landlord for taxes and repairs under $1,000 per occurrence. Within the last two years, the Landlord replaced two of the HVAC units and recently restriped the parking lot. 961 Image Avenue is located just off 10th Street and Howell Mill Road in the heart of West Midtown. With dozens of Atlanta’s best restaurants, retail and nightlife within a short walk, this location is undergoing tremendous growth that is forecasted to continue. 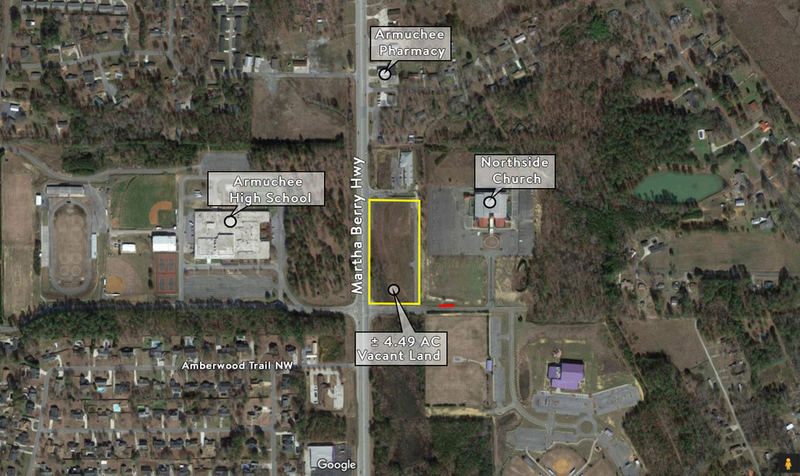 Zoned M (Industrial), these lots will be sold with a curb cut and access to West Bledsoe Rd. Lot 1 is 5.18 acres and is priced to sell at $60,000.00 per acre. Lot 2 is 10.22 acres and is priced at $50,000 per acre. Built to suit opportunities are encouraged and desired. Great development site for heavy industrial companies or manufacturing plants. Bull Realty, Inc. is pleased to offer a ± 19.4-acre site in DeKalb county, of which ± 11.6 are estimated usable. 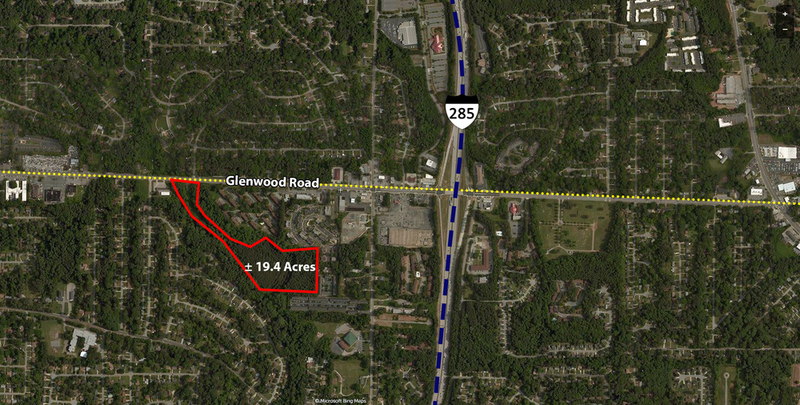 The property lies south of Glenwood Road and is minutes from I-285. Bull Realty is pleased to introduce this C-C zoned, ± 4.49 acre land site in Floyd County. This site is approved for Personal Care Home/Congregate Home use and is suitable for up to 80 units. Zoning allowable building height is 45 feet. A vacant, 12-unit, 8,878 SF senior housing facility built in 2009 is located next to the land site and is available for sale as an option. Unmet Market Demand Analysis and Survey are available. 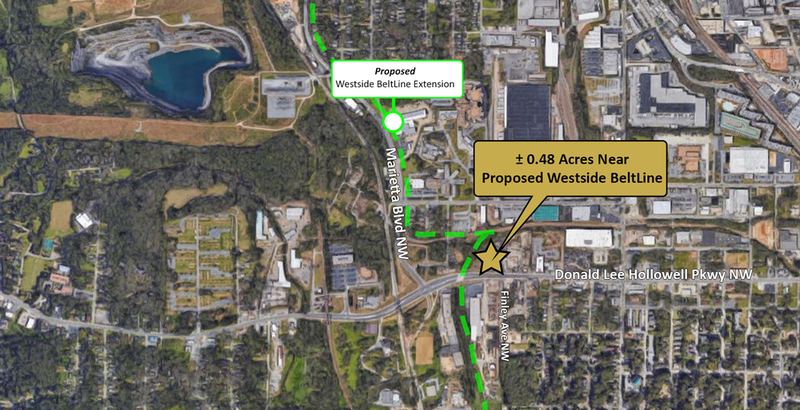 This is a great opportunity to acquire a ± 0.48 acre site on the proposed Westside Atlanta BeltLine. The area is in the process of revitalization with several new large development proposals. Adjacent to this site is Finley Ave, an unopened city street with a proposal to be opened with direct access to the BeltLine. On the other side of Finley Ave is a newly zoned development consisting of 60 upscale townhomes. Across the street is a proposed mixed-use project consisting of 700 apartments, 120,000 SF of retail/restaurants, 385,000 SF of office space and a 150 room hotel with a traffic light at Finley (according to the DRI documents.) Just a few hundred yards west, on Hollowell Parkway, is the new Quarry Yards development with several proposed housing units, office space and a hotel. Please contact the broker regarding the details of this offering. 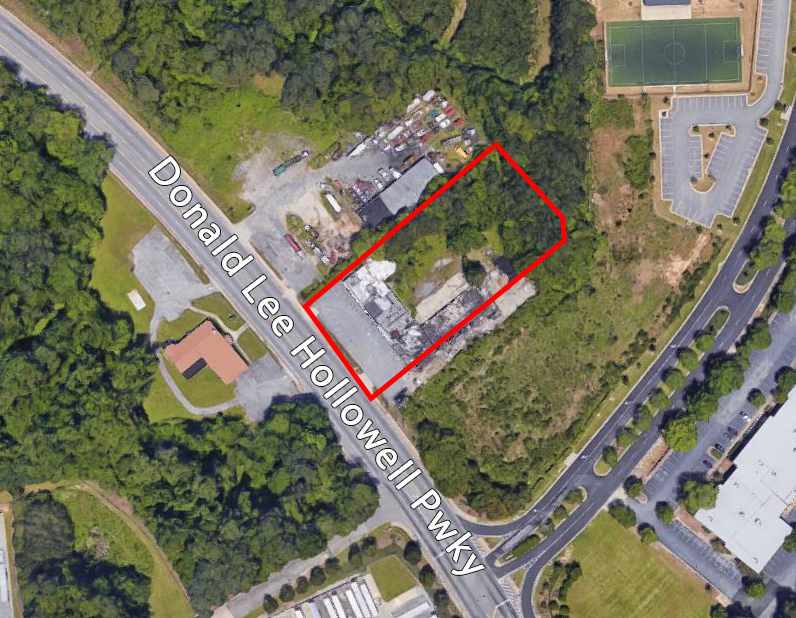 This +/- 5.23 acre site sits on one of Atlanta’s main commuter corridors just 30 minutes north of Atlanta in Forsyth County. It has great visibility with over 600 feet of frontage on heavily traveled GA Highway 400. The CHB zoning is the highest available in Forsyth County and allows a variety of uses with few restrictions. Several new developments are under construction close by, including a new Wal Mart Supercenter less than one mile south. A newly proposed “Coal Mountain Town Center” is planned adjacent to the Wal Mart as well. Two new grocery anchored retail centers have recently been completed just north of the site, near The North Georgia Premium Outlets. The North Georgia Premium Outlets are one of Georgia’s most visited retail sites, attracting more than 6 million shoppers annually. This site is well suited for any type of business that would benefit from the high exposure and convenience of being on one of Georgia’s busiest highways. Retail, office and flex uses are allowed. This offering is for a fully entitled multifamily site in West Georgia near the City of West Point, about one-hour from Downtown Atlanta. The site consists of approximately 22 acres and has been site planned for 228 apartment units. 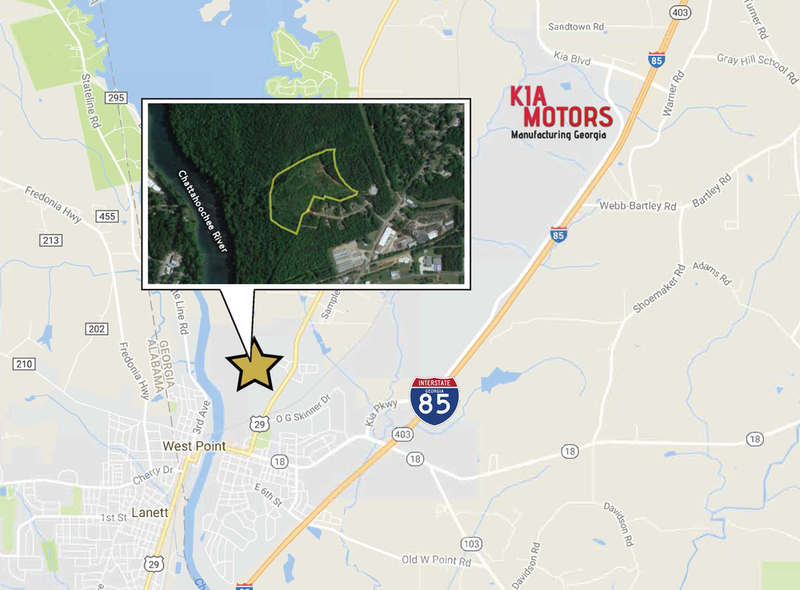 The property is located 1.3 miles north of the City of West Point, GA, less than 1 mile from the Chattahoochee River, less than 2 miles from I-85 and 5.5 miles from the KIA Motors Manufacturing Plant. 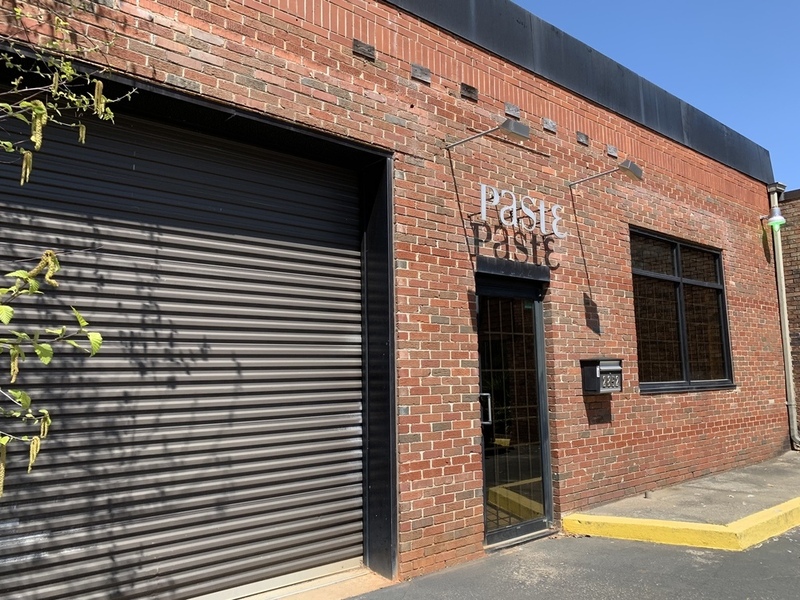 Situated in a high-exposure location in Downtown Avondale Estates, this flexible ± 3,000 SF commercial building is perfect for a variety of office or retail uses, in the midst of new developments and redevelopment. Originally an automotive garage, this 1950’s vintage commercial building has more recently been home to an art gallery and loft-office user. High and exposed ceilings invite natural light, creating a pleasant environment. The building has a new roof, two roll-up doors (located in the front and the rear) and 4 parking spaces in front, with potential for more in the rear. Flexible CBD zoning allows for a variety of office or retail uses. Also available for lease $14/SF NNN. Flexible ± 3,000 SF commercial building in hot downtown Avondale Estates is perfect for a variety of office or retail uses. Originally an automotive garage, this 1950’s vintage commercial building has more recently been home to an art gallery and loft-office user. High exposed ceilings and inviting natural light make for a pleasant environment. High exposure location in downtown Avondale Estates where new development and redevelopment is happening left and right. New roof, roll up door in front and rear, 4 parking spaces in front with potential for more in the rear. Flexible CBD zoning allows for a variety of office or retail uses. For lease $14/SF net, for sale $650,000. 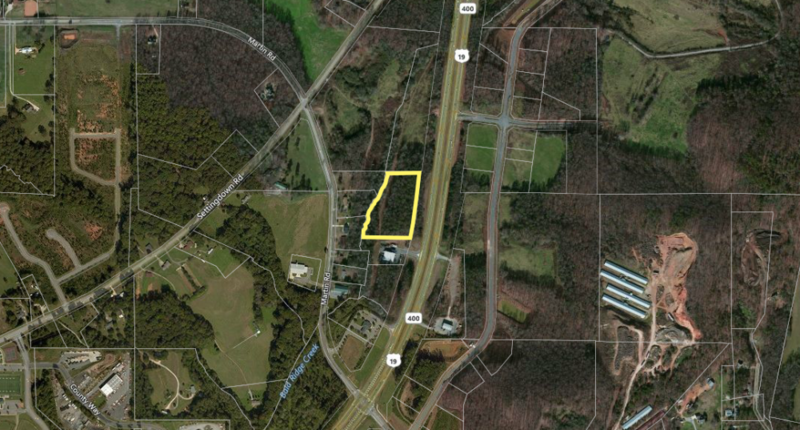 Close proximity to Interstate 285, this 8 acre property has over 1,200 linear feet of frontage on Camp Creek Parkway. Easy access from Welcome All Road and I-2 zoning makes it ideal for any industrial use, including equipment storage. Owner has priced below market for a quick sale. Nearby Camp Creek Marketplace hosts many national retailers including Target and Lowes. 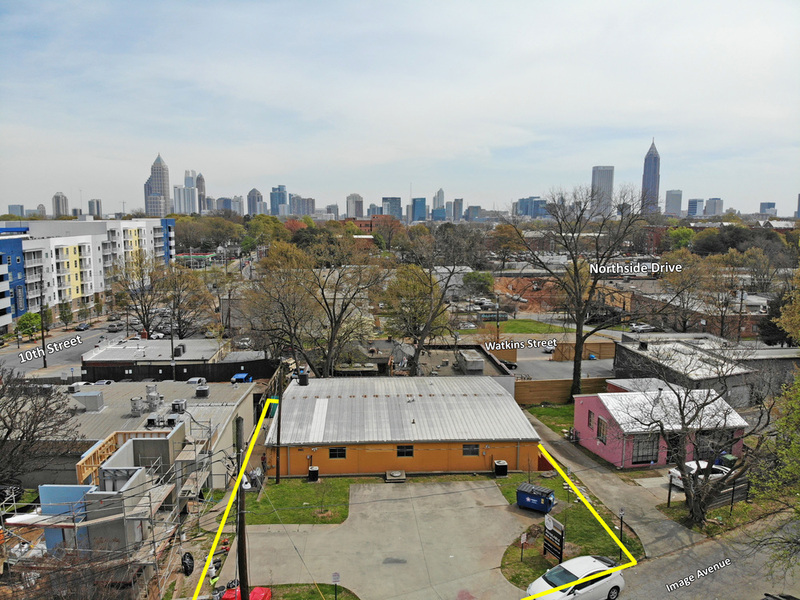 This site is a short walk to the BeltLine and adjacent to the General Motors Plant future redevelopment site in South Atlanta. 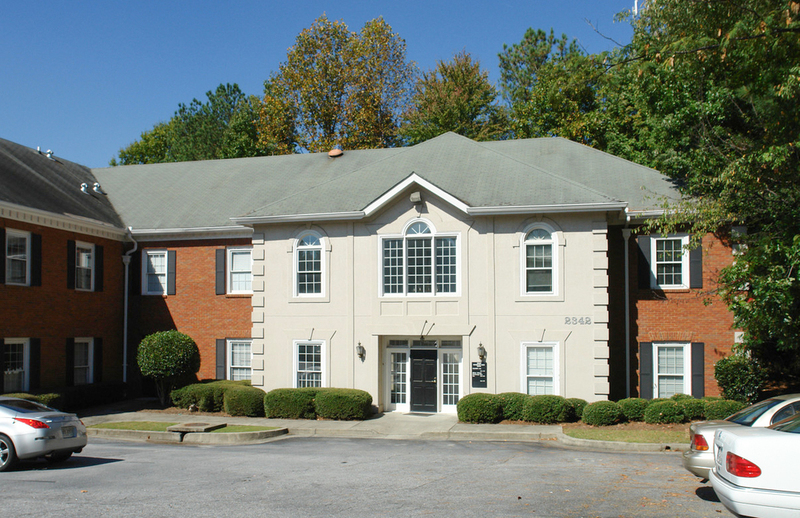 Located 2 miles from Downtown Atlanta, it is currently zoned I-2 and R-4. The property is located in a “Redevelopment Corridor” to potentially rezone the area to include a variety of industrial, office, townhome or apartment buildings. At only $600,000 for ± 3.52 acres, build now, or lease and hold for future appreciation / development. 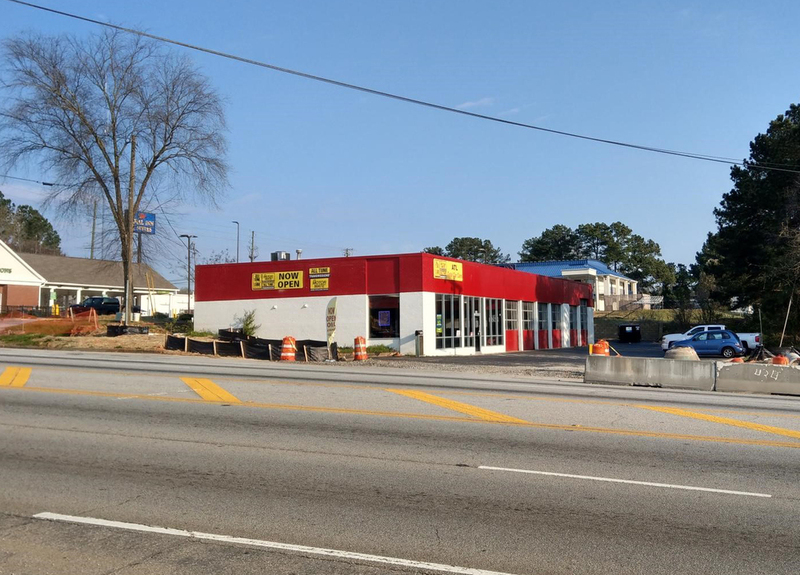 Located in a dense retail corridor a half-mile northwest of Interstate 20 and 2 miles east of East Broad Street along the main throughfare through Douglasville. The property is 20 miles west of Downtown Atlanta.